Earthquake Prediction: 4.6R in Eastern Iran. A 4.6R was reported this morning in Eastern Iran, 75km from Zahedan, Iran. The epicenter location is shown at the red dot in the map below. 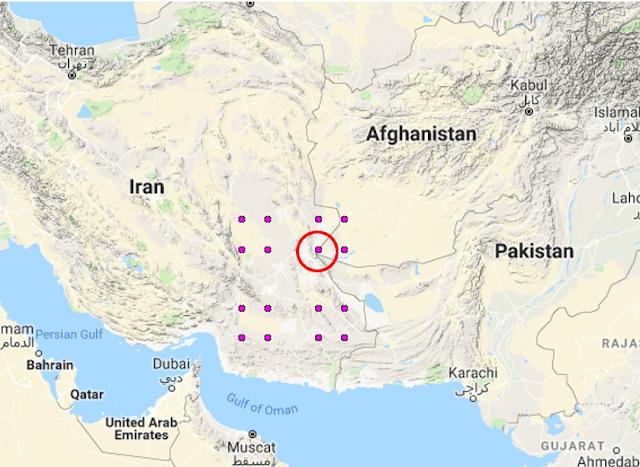 The map above shows our predicted stress points in Iran and the encircled point is exactly the epicenterof the earthquake.